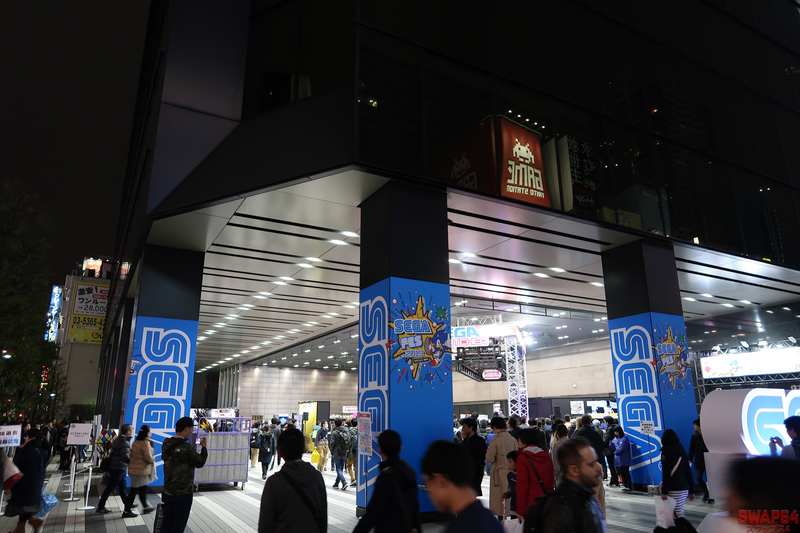 Last weekend I was able to attend the SEGA Festival 2019 which took place on March 30 and 31 at Bellesalle Akihabara in Tokyo, Japan. 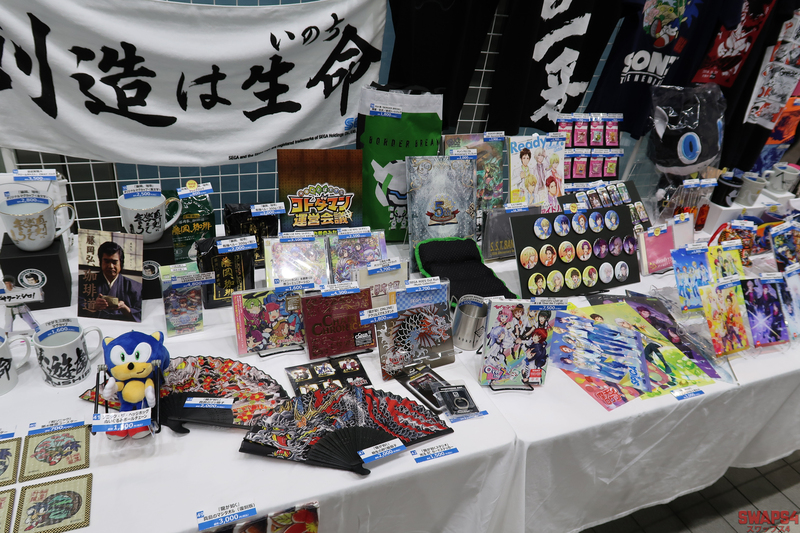 The event was free to enter and open to the public. 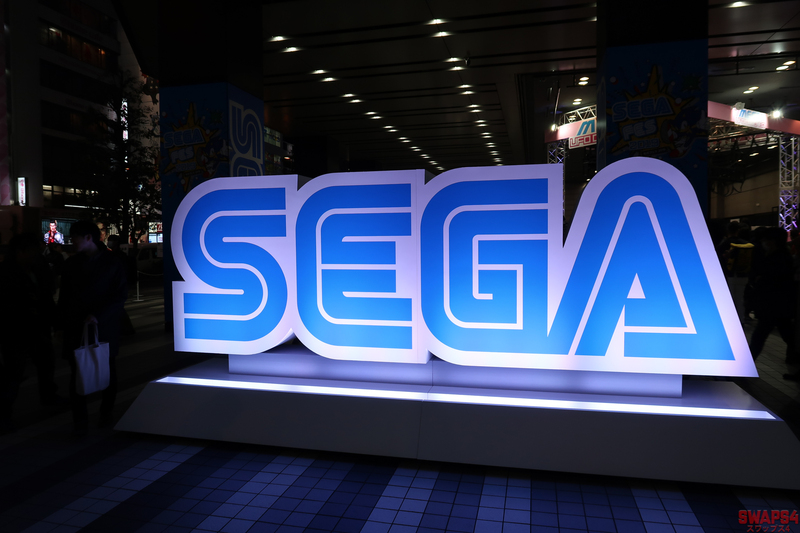 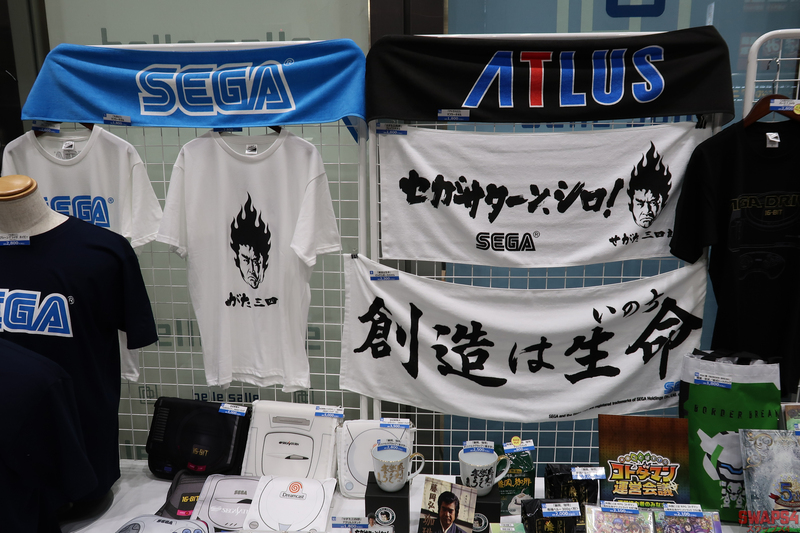 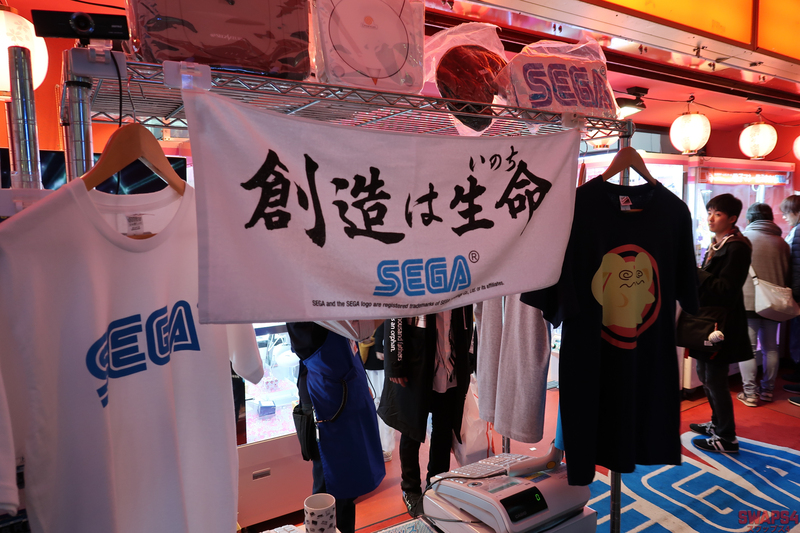 The SEGA arcades in Akihabara also took part and was decked out with SEGA Festival 2019 advertisements and merchandise to purchase. 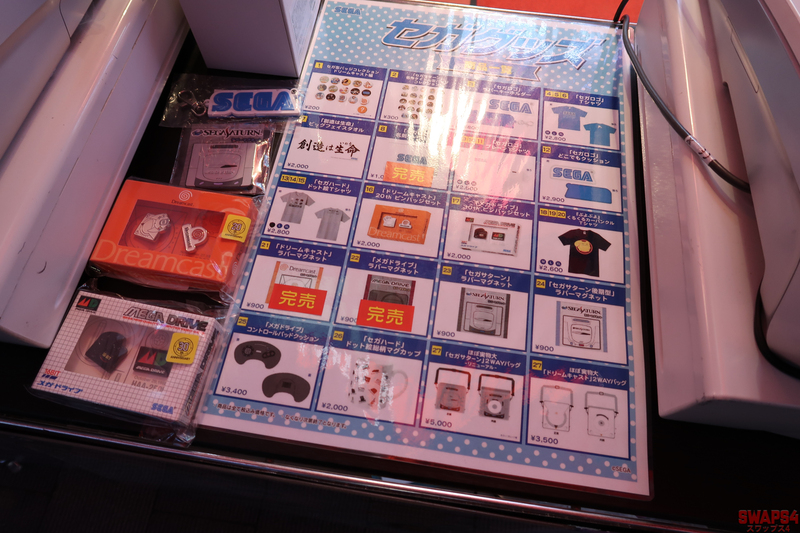 There were also various events going on and one of them required you to visit each arcade in the area to get a flyer stamped to get exclusive merchandise. 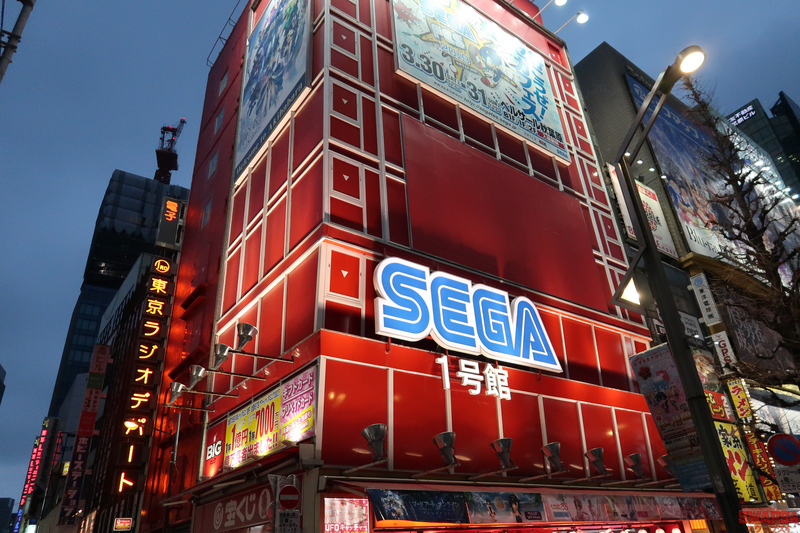 Once you approached the Bellesalle Akihabara you were greeted by a giant sign of the titular video game company, SEGA! 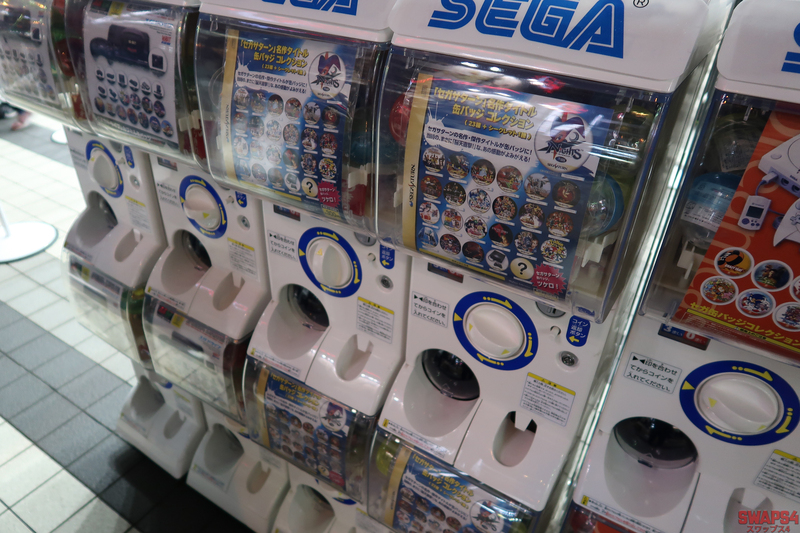 Upon entering you are greeted by a UFO Catcher which requires a real person to function as the claw. 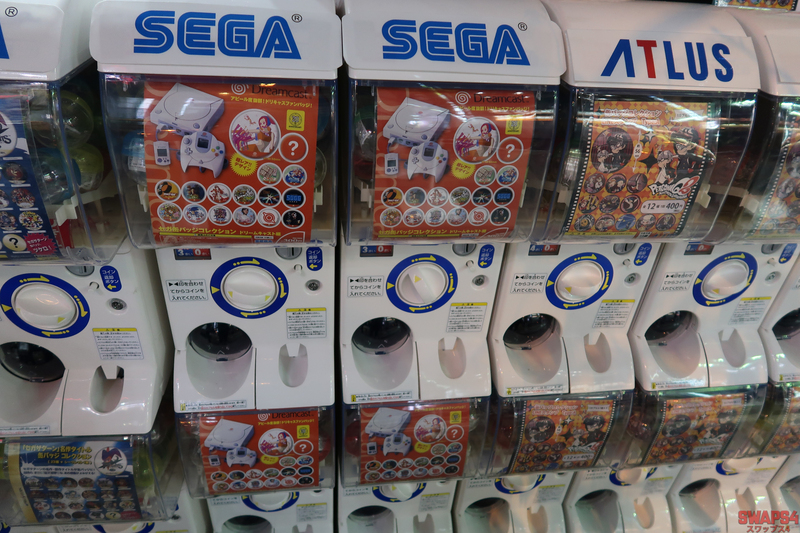 You can volunteer yourself to be the claw or the person who controls the claw. 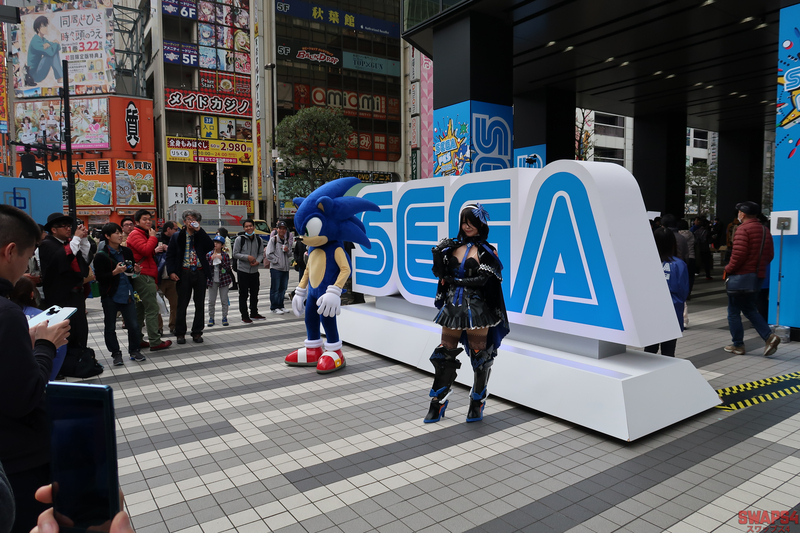 It was a rather bizarre situation to witness. 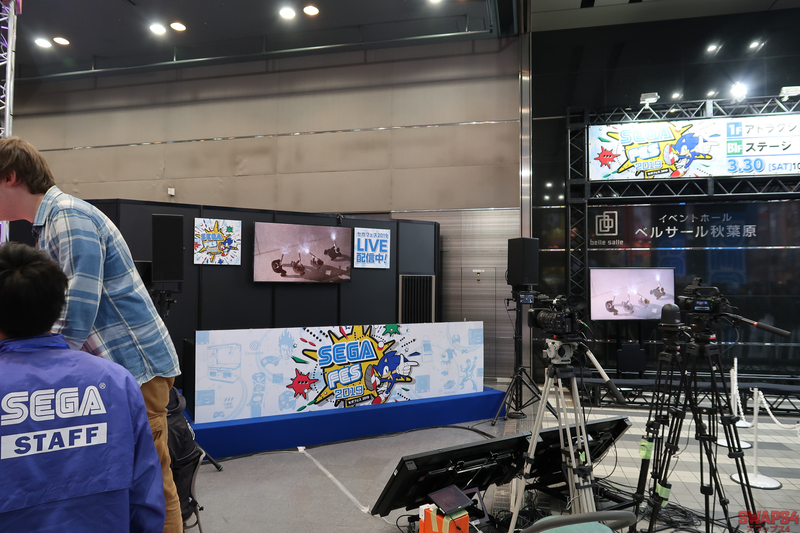 At the side of the UFO Catcher was an area which looked like it was used to record or broadcast the event. 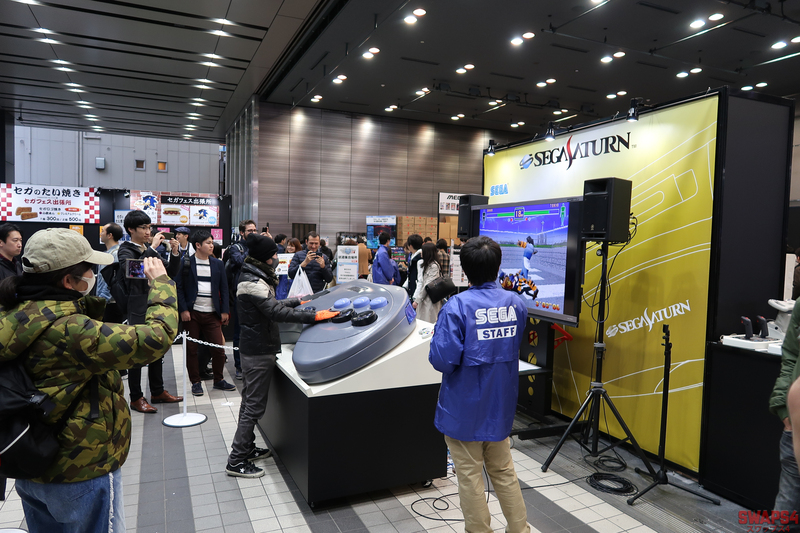 If you think that was insane, what about a giant Sega Saturn controller made for a giant? 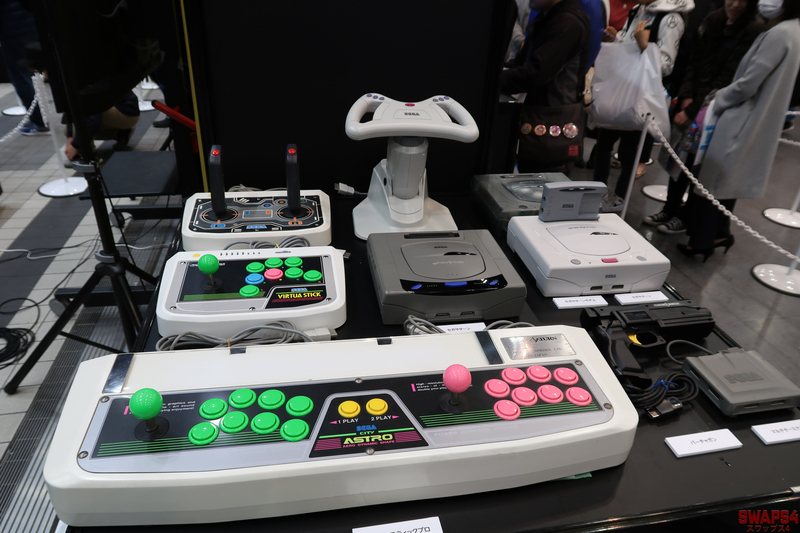 The controller actually worked and you could use it to play the fighting game that was displayed on the TV! 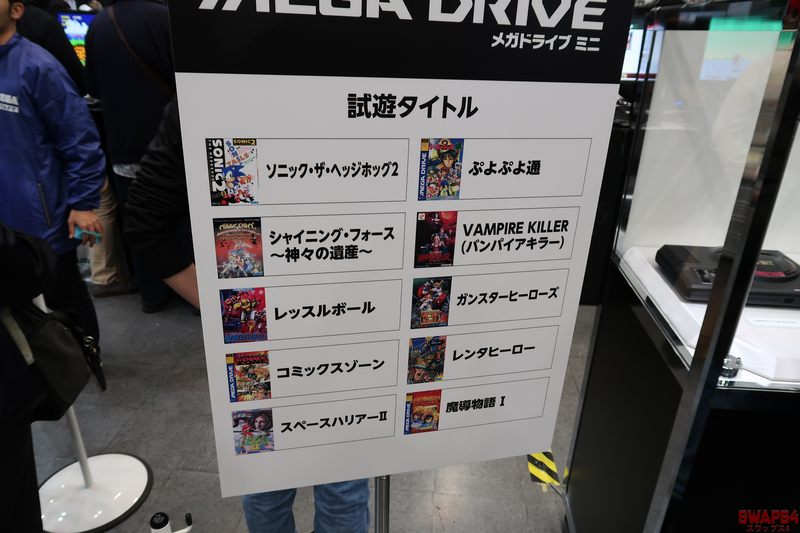 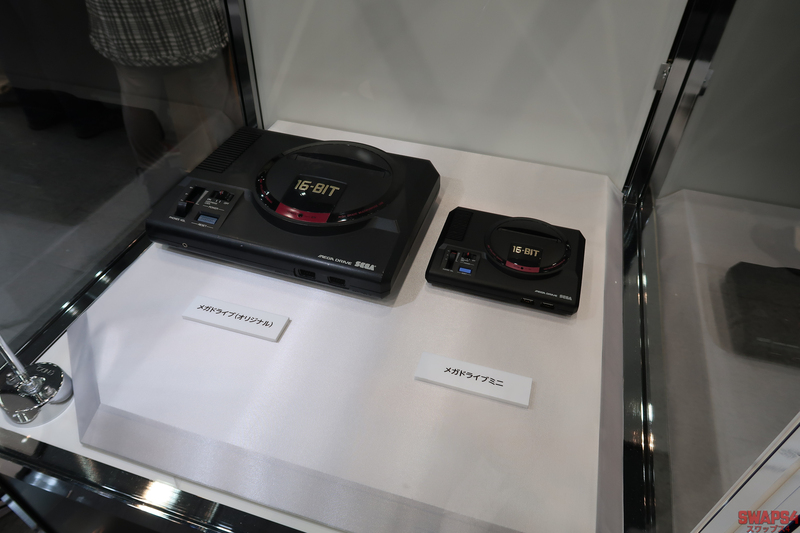 They also had the SEGA Mega Drive, the upcoming Sega Mega Drive Mini retro console, and various old school controllers and consoles were on display. 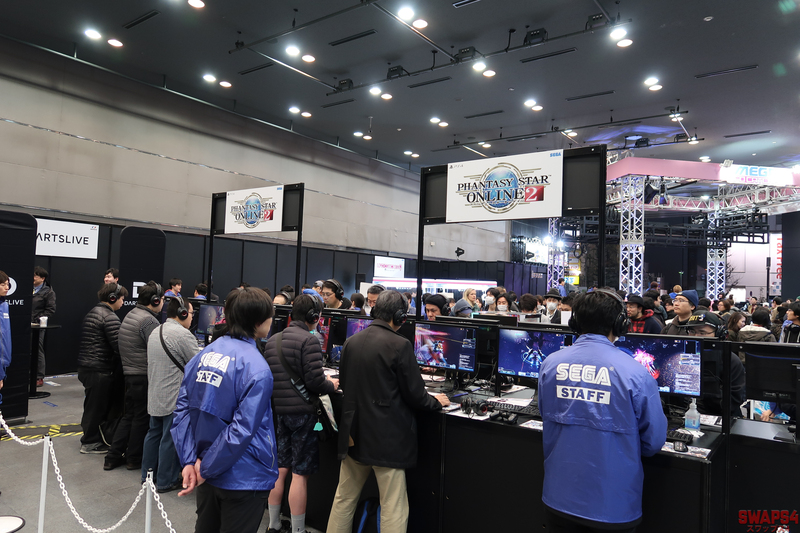 I’m sure you’ve all heard of the renowned Phantasy Star Online 2, well, it had its own area dedicated to playing the game. 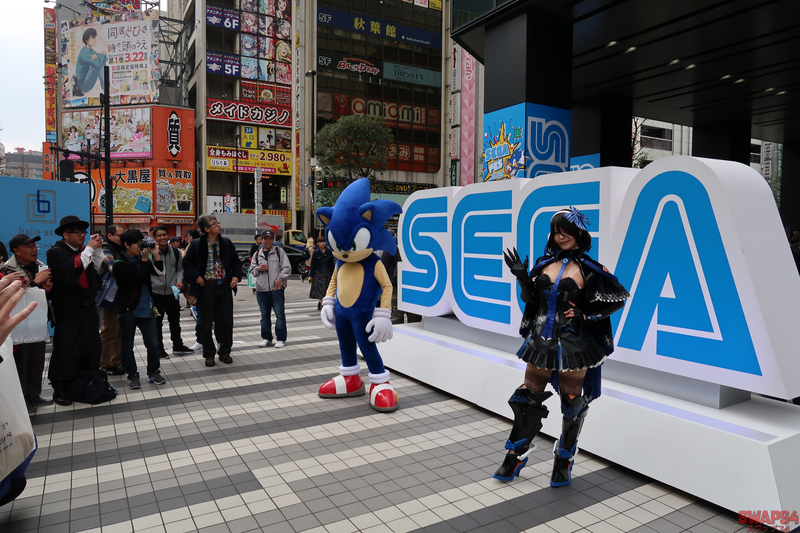 I’m unsure if an event was on-going or not, I can only assume so. 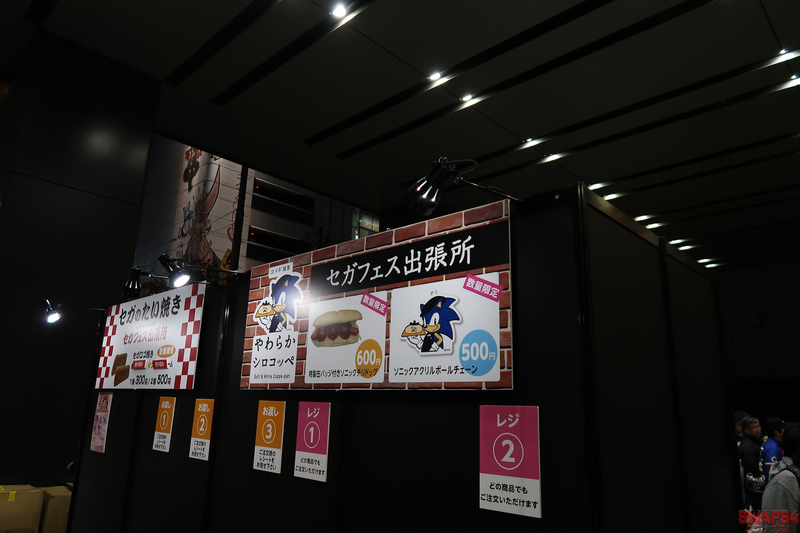 There was an area dedicated to food which was catered by Soft & White Coppe-pan at the event where you could buy a Sonic chili dog or the popular SEGA taiyaki which was sold out almost instantly every day. 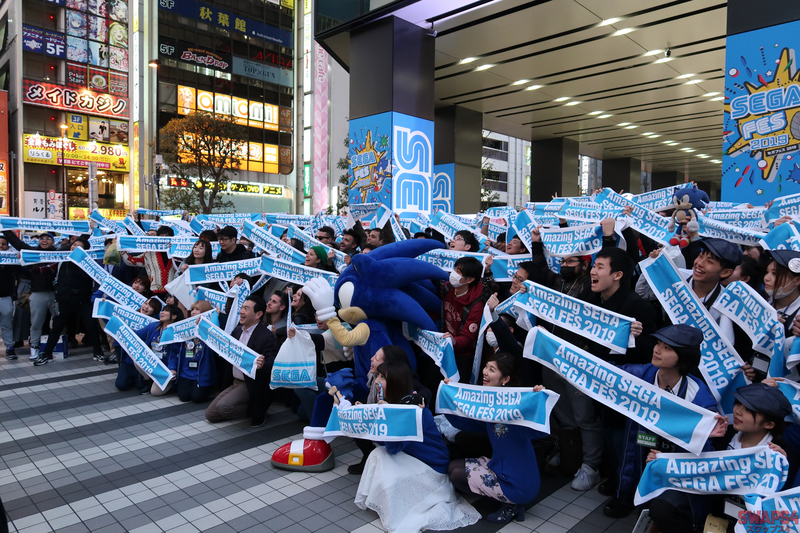 The SEGA taiyaki was so popular I didn’t even get a chance to see them being sold. 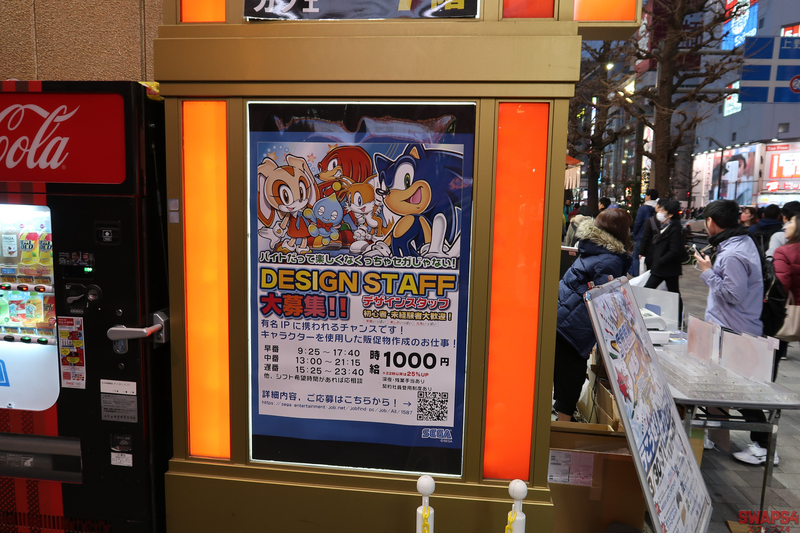 Of course, I was really curious and wanted to try the Sonic chili dog which was literally a hot dog with lots of hot sauce on it. 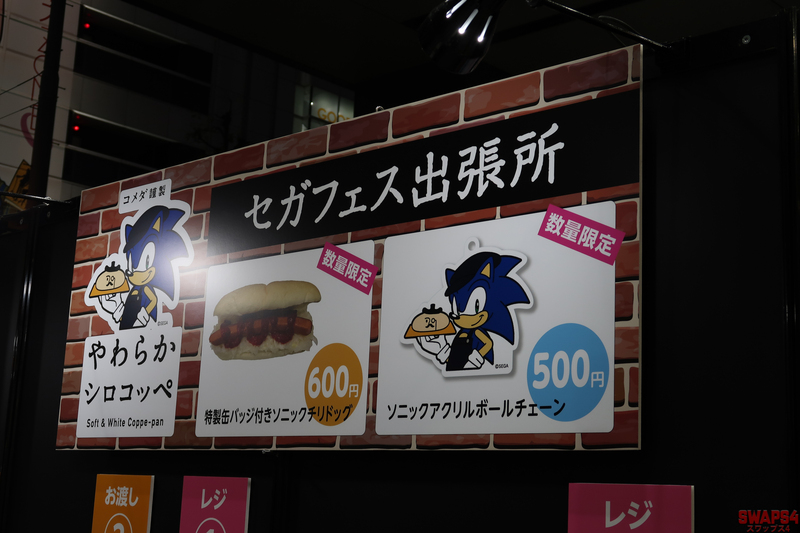 It was still rather tasty and I got a free pin badge which featured the same design of Sonic shown on the packaging below. 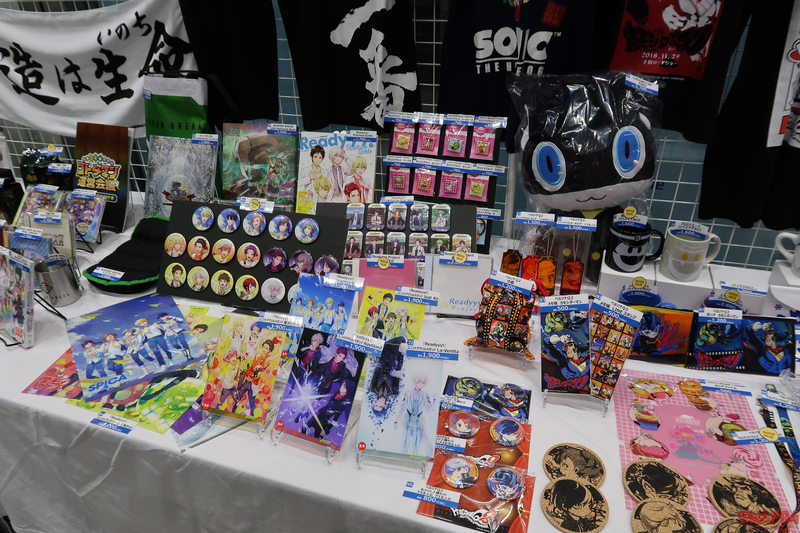 What is an event without exclusive merchandise being sold? 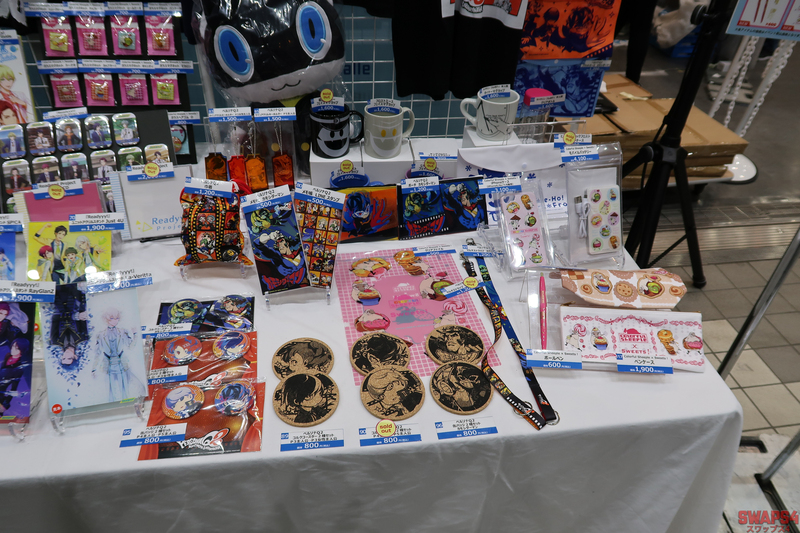 There was a wide range of merchandise from various series to decide from! 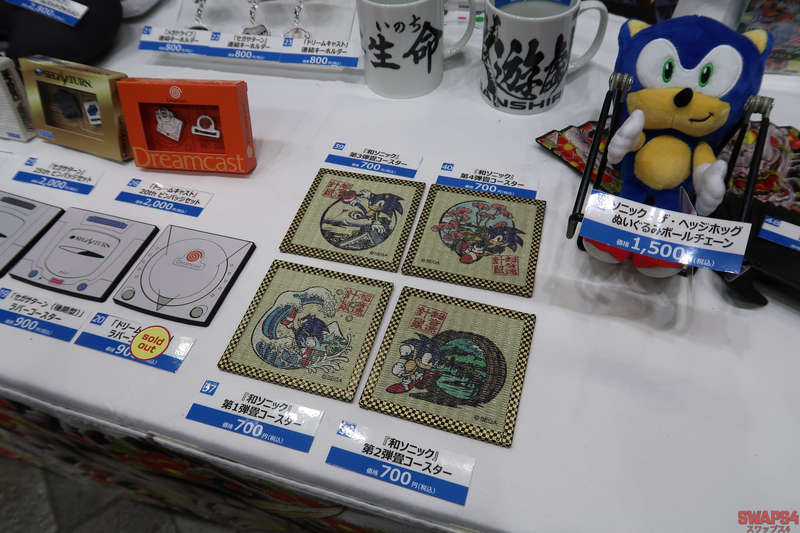 I honestly couldn’t find anything I desperately wanted so I settled for a sakura-themed Sonic coaster, to remember the event and it also represents the current season of spring! 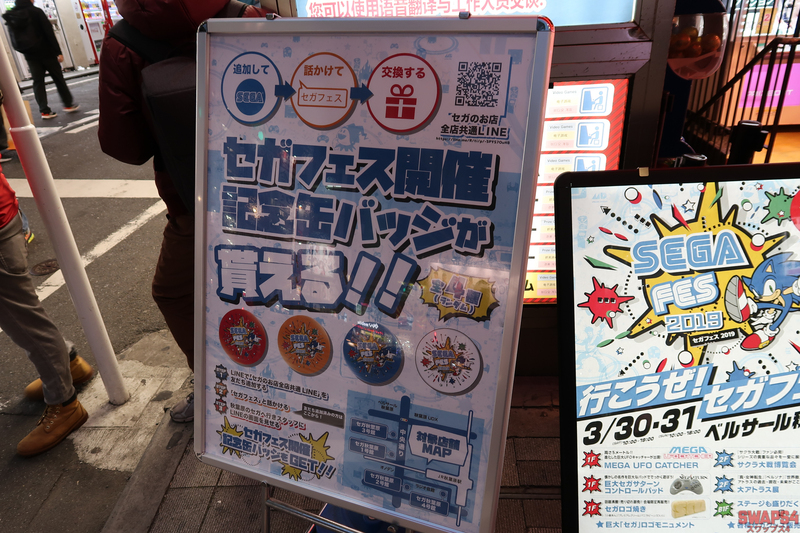 There was also gacha machines with limited pin badges. 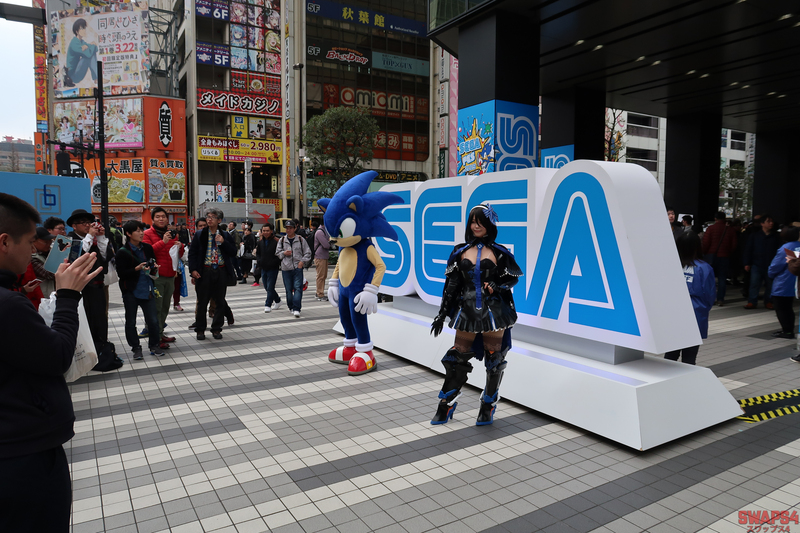 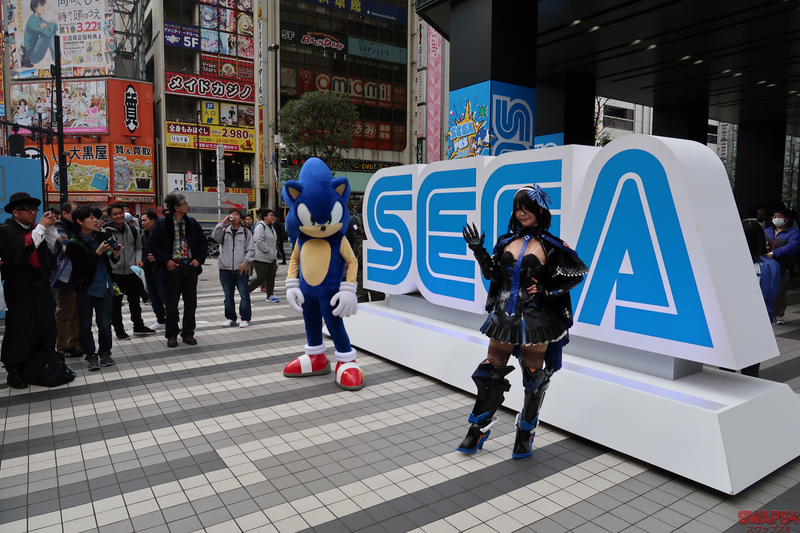 At the entrance where the SEGA sign was located, Sonic along with a cosplayer would often turn up to pose and take pictures with fans. 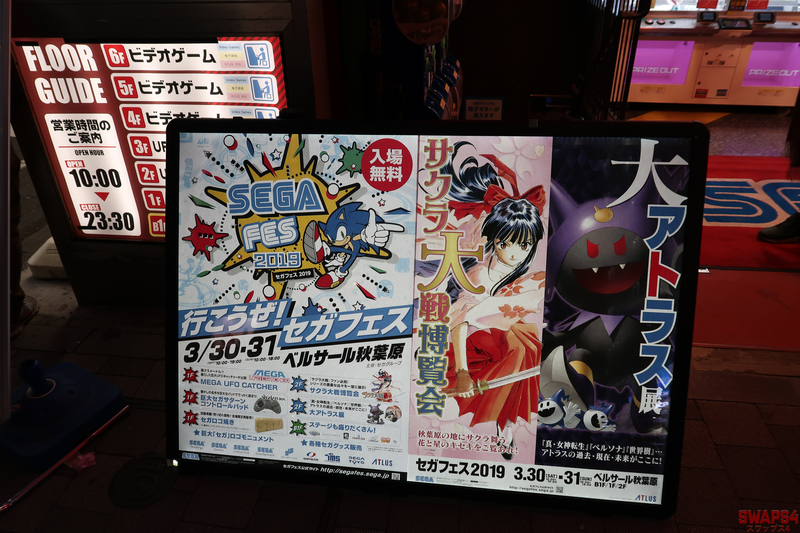 Overall the SEGA Festival 2019 event was really fun and I would highly recommend to check it out if you ever get the opportunity. 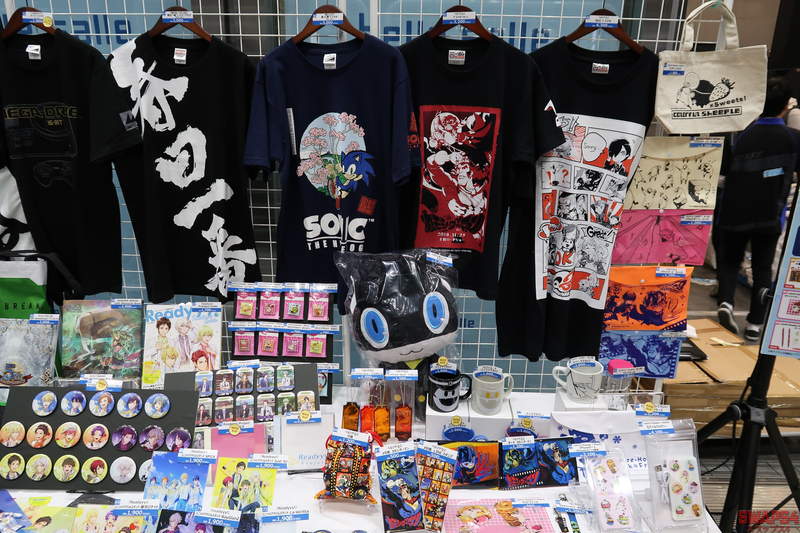 For an event that was free to enter, you really can’t complain and also have the chance to receive free merchandise if you take part in the on-going game events.